Summer is the time to get out and enjoy the outdoors. 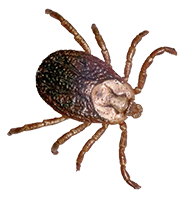 Remember, though, when you head outside, you’re entering the home of countless animals and insects – including ticks. Tick bites can be quite common depending on where you live, and can even occur in your own yard, so you don’t have to go far to be at risk. fine tweezers, grasp the tick as close to the skin as possible and with a steady movement, pull it straight out. Use an antiseptic to clean the area and prevent infection. fever, chills, nausea, fatigue, muscle and joint pain, and swollen glands. If you notice any of these symptoms after being bitten, seek medical attention immediately. 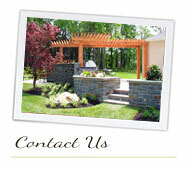 Our success is built upon your continued satisfaction. 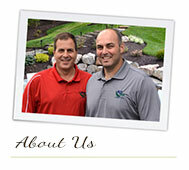 We value our partnership with you and want to thank you for the confidence you place in our abilities. Strong customer relationships begin with good communication. That’s why we encourage you to call our office anytime to discuss concerns, problems, suggestions, or simply to ask a question. We’re here whenever you need us to provide the answers you’re looking for. If you’d like more information about our services, or even if you just have a question about a certain plant that’s growing in your landscape, please don’t hesitate to get in touch through our website or our facebook page. It’s always a pleasure to hear from you! Lawns, trees, shrubs and flowers need adequate water to thrive, and the summer months are the time to be especially aware of your landscape’s watering needs. Remember that how often plants need to be watered is closely related to how deep their roots are. During the hotter summer months, your lawn needs from 1″ to 1.5″ of water per week either by rainfall or sprinkling. Soaking your soil to a depth of 6″ each time you water, will help your turf’s roots to grow deeper and stronger. Try to avoid frequent, shallow sprinklings, which can create shallow roots that dry out more quickly. 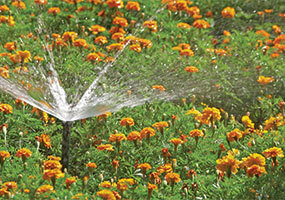 If rainfall is scarce, your trees and shrubs will also benefit from weekly watering. 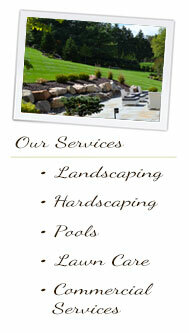 Since their roots are much deeper than your lawn’s roots, be sure to soak each area thoroughly. Like with turf, water less often, but deeply. 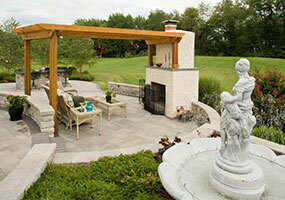 On average, your trees and shrubs need to be watered three times as long as your grass. 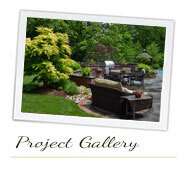 Pay special attention to recently planted trees and shrubs. They need extra water to support top growth while their roots get fully established. deeper roots. Don’t worry if the soil dries out a bit between waterings. If at all possible, watering should be done in the early morning when temperatures are lower (to help prevent water loss from evaporation). An automatic irrigation system may be worth looking into if you have an especially large lawn or lots of plants spread out over a large area. Not only will it save you time and effort, but you’ll have peace of mind knowing that your plants are always getting the right amounts of water at the right times!